The reg no is: 497ONA. 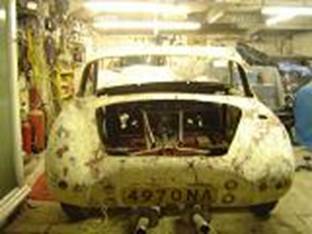 It is a mk1 which has had some modifications at some time. The back has been cut out for some reason & it looks like at some time in its life it has been used for racing. I only have the body which is in six pieces & the chassis, but no chassis number. 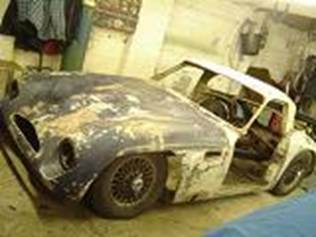 I am going to rebuild the car & mount it on a triumph spitfire chassis & use all its engine & running gear. The wheel base is the same, I have bought a set of 15" jaguar wire wheels & a front screen from a mk2 ford consul. I intend to do it as a race replica .